It's the time of year when new memories are born and thoughts of times past are alive again. While enjoying a holiday meal with family and friends at the Blumen Garden Bistro, patrons are invited to take a moment to hang an ornament on the Christmas Memory Tree. Amongst the beautiful holiday glitter, the Memory Tree stands to collect ornaments hung in a quiet moment of reflection and celebration of the life of someone being remembered in this season. Patrons are invited to make a donation to Prince Edward Community Care for Seniors, choose an ornament and place it on the Memory Tree. 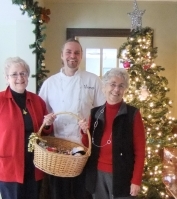 The Memory Tree at the Blumen Garden Bistro, located at 649 Highway 49 in Picton, is in support of services for seniors. The tree will touch the lives of many during this Christmas season. It gives the opportunity to remember a loved one during the holidays, and to make a donation to an organization that helps seniors live at home. 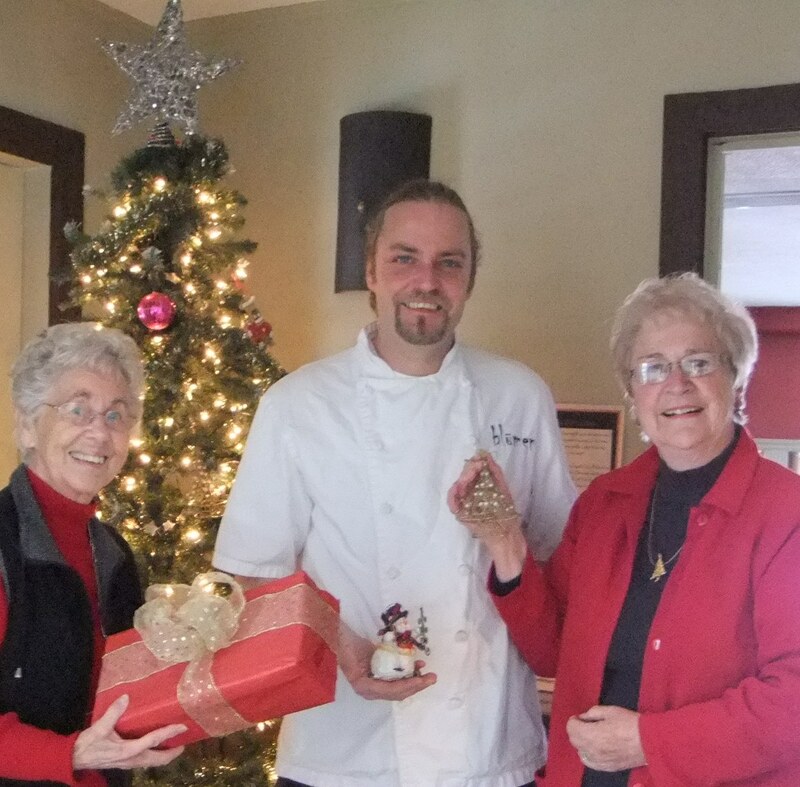 Maureen Finnegan, chair of Community Care's fundraising committee, says, "we owe many thanks to the owner Andreas Feller for his co-operation and support of seniors in Prince Edward County through our agency. 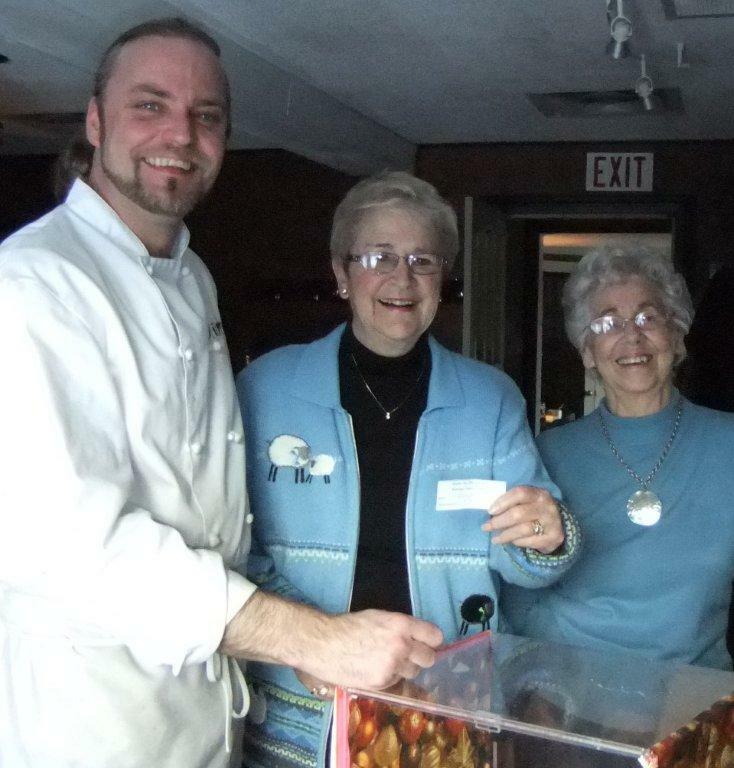 This year Andreas is giving everyone who makes a donation the opportunity to be selected for dinner for two at Blumen." Debbie MacDonald Moynes, executive director of Community Care says "we want to thank Andreas for his generosity and also thank those people who have already contributed to the memory tree by making a donation." Prince Edward Community Care for Seniors has been supporting seniors to live independently at home since 1977. Services include Meals on Wheels, transportation to medical appointments & shopping, noon-time dinners for seniors, help with forms, reassurance programs, homemaking, yard work and home maintenance. The agency is partly funded by the Ministry of Health & Long-Term Care through the Local Health Integration Network and supported by donations and community fundraising efforts. The office is located in The Armoury, 206 Main Street, in Picton. Blumen, compliments of Mr. Feller.